"Allergic to soy or wheat? 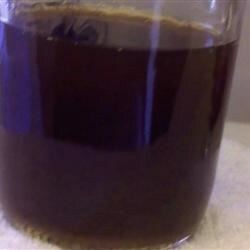 Here is a great substitute for soy sauce." When cooking for someone with a sensitivity to an allergen, be sure to read the labels on all of the ingredients you are using in the recipe. Some brands or varieties may contain unwanted ingredients. All of the ingredients used in this recipe have allergen-free versions. Organic bouillon usually doesn't contain MSG. I will never buy soy sauce ever again. This definitely is worth trying if you want a good soy sauce that doesn't just taste like vinegar and salt. Thanks for the great recipe. I didnt have Soy Sauce as I was in the middle of a recipe and this tasted just like it!